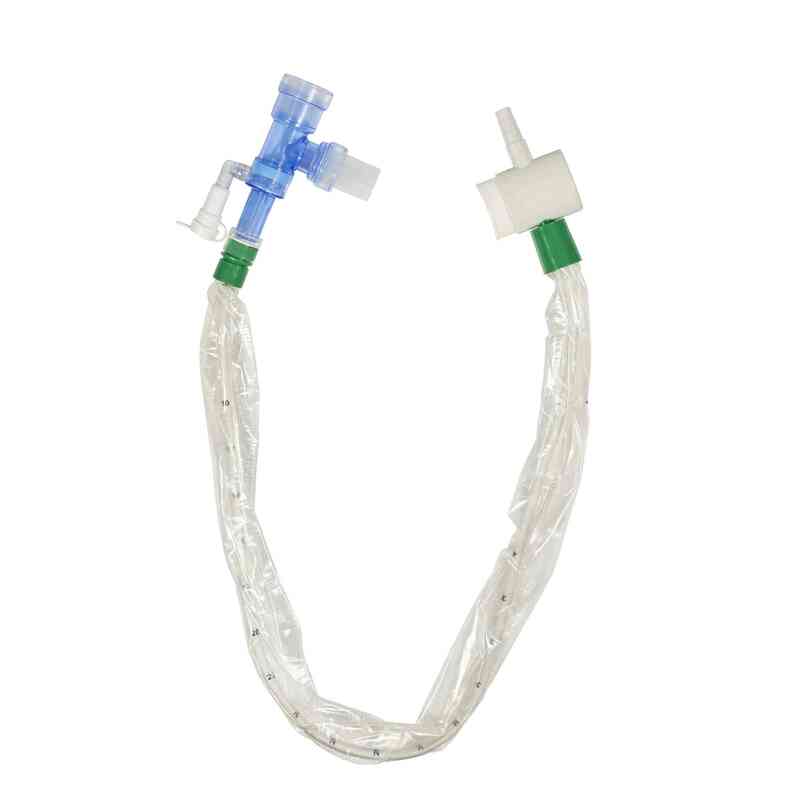 The Closed Suction System — featuring technology from BALLARD* TRACH CARE* — is the only catheter that retracts within a unique, isolated and vacuum-sealed turbulent cleaning chamber. The turbulent cleansing action results in an 89% cleaner catheter tip compared to a standard closed suction system.1, 2 This reduced colonization may help reduce risk of VAP in your ventilated patients. The BALLARD* Turbo-Cleaning Closed Suction System with the Avanos* connection works in conjunction with an adult barrel-shaped Avanos* Heat and Moisture Exchanger to allow the caregiver to remove airway secretions, provide adequate humidification; supplement oxygen therapy as needed; and still disconnect for patient ambulation.The Closed Suction System — featuring technology from BALLARD* TRACH CARE* — is the only catheter that retracts within a unique, isolated and vacuum-sealed turbulent cleaning chamber. The turbulent cleansing action results in an 89% cleaner catheter tip compared to a standard closed suction system.1, 2 This reduced colonization may help reduce risk of VAP in your ventilated patients.